BALANCE OF VOLVO 6 YEAR / 160,000 KM COMPREHENSIVE CERTIFIED PRE-OWNED WARRANTY FEATURING $ 0.00 DEDUCTIBLE. CRYSTAL WHITE PEARL ON MAROON BROWN EQUIPPED WITH PREMIUM SOUND SYSTEM BOWERS & WILKINS, REAR AIR SUSPENSION, PANORAMIC SUNROOF, BACKUP CAMERA, BLIND SPOT INFORMATION SYSTEM, HEATED FRONT & REAR SEATS, HEATED WINIDSHIELD, HEATED STEERING WHEEL, HEATED WINDSHIELD WASHER NOZZLES, ADAPTIVE CRUISE CONTROL, COLLISION WARNING WITH FULL AUTO BRAKE, PEDESTRIAN & CYCLIST DETECTION, DISTANCE ALERT, DRIVER ALERT, LANE DEPARTURE WARNING, ROAD SIGN INFORMATION, POWER OPERATED TAILGATE, ELECTRIC FOLDING REAR HEADRESTS, FRONT & REAR PARK ASSIST, CITY SAFETY, ACTIVE DUAL XENON HEADLAMPS WITH WASHERS, CITY SAFETY, 20" 10 SPOKE BLACK DIAMOND CUT ALLOY WHEELS, DUAL POWER FRONT SEATS, BLUETOOTH, RAIN SENSOR WIPERS, AUTO DIMMING REARVIEW MIRROR, SILVER ROOF RAILS, DARK TINTED GLASS, AND MUCH MORE... WARRANTY EXPIRES DECEMBER 28TH 2024 OR 160,000 KM WHICHEVER COMES FIRST. FINANCE 0.9% - 24 MONTHS, 1.9% - 36 MONTHS, 2.9 % 48-60 MONTHS, 3.9% - 72 MONTHS O.A.C. CARFAX CLEAN. 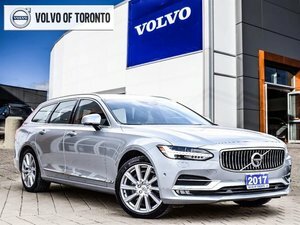 VOLVO OF TORONTO DEMO. 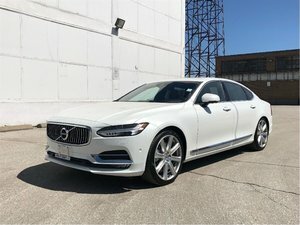 GORGEOUS V90 CROSS COUNTRY AWD T6! PREMIUM PACAKGE, PREMIUM PLUS, VISION, CONVENIENCE PACKAGE, BOWERS & WILKINGS PREMIUM SOUND, REAR AIR SUSPENSION AND ACTIVE CHASSIS, 20" 10-SPOKE BLACK DIAMOND CUT ALLOY WHEEL, CLIMATE PACKAGE W/HUD, CHARCOAL HEADLINER. CALL TO BOOK AN VIEWING!! COME SEE IT TODAY! 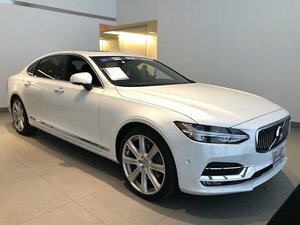 VOLVO'S CERTIFIED PRE-OWNED (CPO) WARRANTY IS OFTEN CONSIDERED ONE OF THE BEST IN THE BUSINESS, OFFERING 6 YEARS OR 160,000 KMS OF COVERAGE FROM THE CAR'S ORIGINAL SALE DATE. IT'S ALSO FULLY TRANSFERABLE, INCLUDES NO DEDUCTIBLE, FEATURES ROADSIDE ASSISTANCE AND OCCASIONALLY COMES WITH SPECIAL FINANCING RATES. 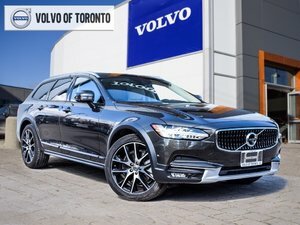 PURCHASE WITH ABSOLUTE CONFIDENCE AND PEACE OF MIND KNOWING THAT THIS 2018 V90 CROSS COUNTRY HAS BEEN PUT THROUGH VOLVO'S STRINGENT CERTIFIED PRE-OWNED PROGRAM ENSURING THAT IT IS THOROUGHLY INSPECTED AND RECONDITIONED WELL BEYOND PROVINCIAL MINIMUM SAFETY STANDARDS BY OUR FACTORY TRAINED TECHNICIANS, USING ONLY GENUINE VOLVO PARTS. THIS UNIQUE PROGRAM ALSO PROVIDES EXTENDED FACTORY WARRANTY WITH COMPREHENSIVE ROADSIDE ASSISTANCE COVERAGE UP TO 160,000KMS TOTAL MILEAGE. THIS V90 HAS FACTORY WARRANTY FOR 6 YEARS FROM IN SERVICE DATE OR A MILEAGE OF 160,000KMS!